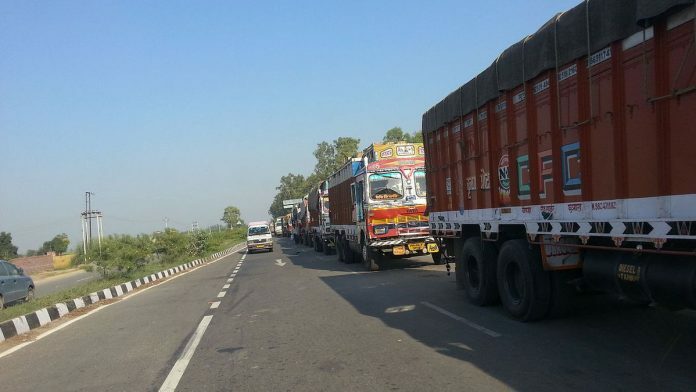 New Delhi: India’s decision to squeeze Pakistan on the trade front in the wake of the Pulwama attack could boost smuggling and corruption, some trade experts fear. Informal commerce via Dubai is also expected to go up, while shipments from India are expected to be badly hit, they said. India Friday announced the immediate withdrawal of the Most Favoured Nation (MFN) status from Pakistan, and the next day, duties on Pakistani goods were raised to an unprecedented 200 per cent, according to a customs notification issued by the finance ministry’s revenue department. “The withdrawal of MFN and raising duties to 200 per cent by India may not only lead to a trade war, but it may lead to smuggling and corruption at the borders,” said Rajan Sudesh Ratna, economic affairs officer (South and South-West Asia Office) at the United Nations Economic and Social Commission for Asia and the Pacific (UN ESCAP). At present, India exports $1.92 billion (approx. Rs 13,695 crore) worth of goods to Pakistan, while the imports from that country are worth $4.88 million (approx. Rs 34.8 crore), according to data from the ministry of commerce and industry. Since the trade balance is in favour of India, raising duties is expected to stop all imports from Pakistan, but may also impact India’s exports if Islamabad takes retaliatory steps, official sources told ThePrint. Bilateral trade between India and Pakistan rose to $2.41 billion in 2017-2018 from $345 million in 2003-04, according to official data. This happened despite the fact that Pakistan never gave MFN status to India officially, while New Delhi had granted it in 1996. India mainly exports cotton, chemicals, textile products and metals to Pakistan, while the latter sells dry fruits, sugar and cement. The trade takes place mainly through the Attari-Wagah border in Punjab. A recent study conducted by Prof. Nisha Taneja of the Indian Council for Research on International Economic Relations (ICRIER) found that India’s trade potential with Pakistan stands at $11 billion, with exports estimated at $8 billion and imports at $3 billion. However, Taneja said the signal that India had sent to Pakistan was “strong” and “needed”. “This will definitely shift trading through the informal route but it is not going to be much as the volumes are not that significant,” she told ThePrint. In the aftermath of the 2008 Mumbai terror attacks, Manmohan Singh’s UPA government had also taken stringent steps against Pakistan. However, in 2011-12, Prime Minister Singh initiated the process of trade normalisation with Pakistan, in which the country granted partial MFN to India by moving from a so-called negative list to a positive list of items, under which Islamabad expanded the number of items it imported from India. Rahul Khullar, the then-commerce secretary who was instrumental in this process along with his Pakistani counterpart Zafar Mahmood, believes that the 200 per cent duty hike will not help anyone. “Our trade will be impacted even more when retaliatory tariffs are placed. Moreover, does it change the situation in Kashmir? Does it remotely affect the Jaish-e-Mohammed or the Pakistani military machine’s attitude?” Khullar said. The 19th SAARC Summit, which was supposed to be held in Pakistan in November 2016, was cancelled and never convened, due to the growing acrimony between India and Pakistan post the Uri terror attack in September that year. Following India’s lead, other members Bangladesh, Afghanistan, Nepal, Sri Lanka, Bhutan and Maldives also withdrew from it. In December 2018, Pakistan’s foreign secretary Tehmina Janjua stated that the country was planning to reconvene the SAARC Summit in 2019. However, the latest attack seems to have put paid to that. According to Ratna of the UN ESCAP, the attack and its aftermath “might further delay the efforts of cooperation under SAARC, especially on common social, economic and environmental challenges”. “It might also delay the regional cooperation initiatives which aimed for collectively addressing common challenges for South Asian countries to achieve Sustainable Development Goals,” he said.